Bath and Main Associates has been in business since 2011 and in that time we’ve worked with a range of clients from the voluntary, community, public and private sectors. 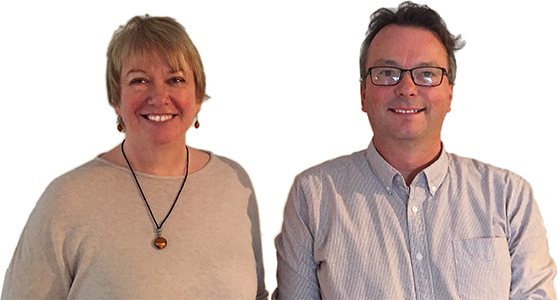 Before Bath & Main existed, Simon and Hilary worked together for 20 years in a range of senior roles with Age Concern and Age UK. If we were to identify a theme to our recent work, it’s about making a difference to people and organisations by enabling them to do things a little (or a lot) differently, while having some fun doing it. Fortunately people like and enjoy what we do and that’s a great motivator for us. We aim to get the balance right between being professional, knowledgeable and skilled facilitators with a flexible, personable and engaging style. We structure projects both big and small carefully to manage the flow and energy levels and we follow up most of our work with clear and succinct reports. We don’t like to leave things hanging and will try to nail down actions and timescales. It’s quite difficult to define or categorise us and what we do. In essence, we do a mix of activities, bit of this and a lot of that, depending on the issues and challenges facing you. Our starting point is always to listen and to learn what people and organisations want and need. We then work with you to develop how changes can be delivered that will make a positive difference. But we also evaluate organisations, projects and services; we set up and run campaigns; we develop and manage projects, write tenders and funding bids and provide additional capacity when it’s needed. We’re specialists in helping to make change happen. We also know a great deal about the issues currently facing the voluntary, community and social enterprise sector and the challenges of succeeding in such a competitive and rapidly changing environment. On the positive side, we find that the answer to nearly all issues can be delivered by the people who know the most about an organisation or situation, the staff, trustees and volunteers. Sometimes people just need some help and ideas in finding that answer and the clarity that knowledgeable, independent, trusted consultants can bring. We like to talk the issues through, go away, think, plan and come up with ideas, bounce them around a bit more, and then come up with a practical proposal which we then make happen. We’ll work with you to find the answer you’re are looking for and is do’able. A doddle!